Random opinions of two guys who started their careers as engineers with coffee stained t-shirts and today wear suits and ramble on about 'synergy, harmony and vision'. 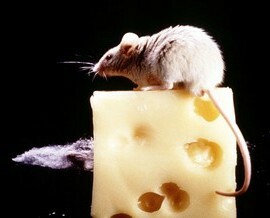 'Corporate Rat' works in a software company in the East Coast and 'Elusive Cheese' in another software company in the Bay Area. There used to be a time when we used to discuss hacking protocols. These days we talk about pivot tables and excel sheets. The blog has lots of good telecom opinion and is worth reading. Here is their take on IMS for example.